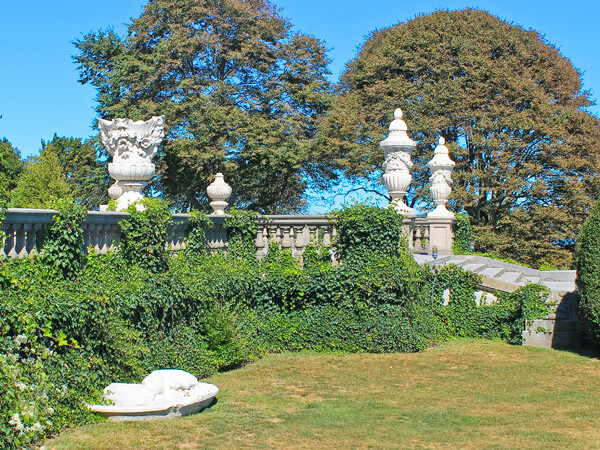 Cornelius Vanderbilt II’s 13-acre estate was designed by architect Richard Morris Hunt, landscape gardener and engineer Ernest Bowditch, forester James Bowditch, and the head Vanderbilt gardener, Robert Laurie. 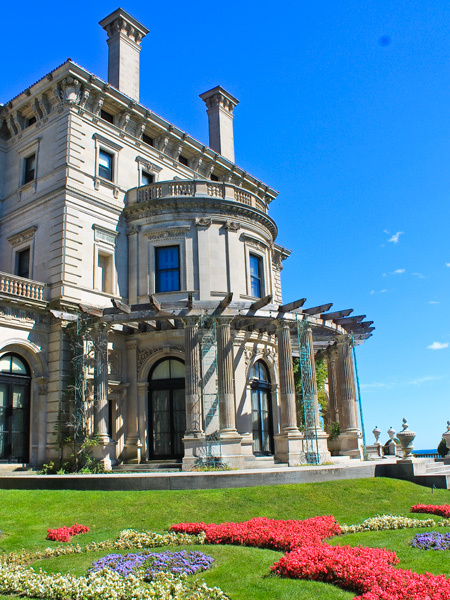 Known as The Breakers, this 1895 Beaux-Arts manifestation of the Vanderbilt family’s power and prestige is surrounded on three sides by a 12-foot limestone and iron fence paralleled by wide border beds and plantings of yew, juniper and beech. Entered through 30-foot gates with four bronze lampposts and a two-story gatehouse, the gravel drive is lined with an allée of pin oaks leading to a porte-cochere centered on the northwestern façade. To the southeast, the house’s Great Hall is graduated onto a broad ocean-facing terrace by a double loggia. 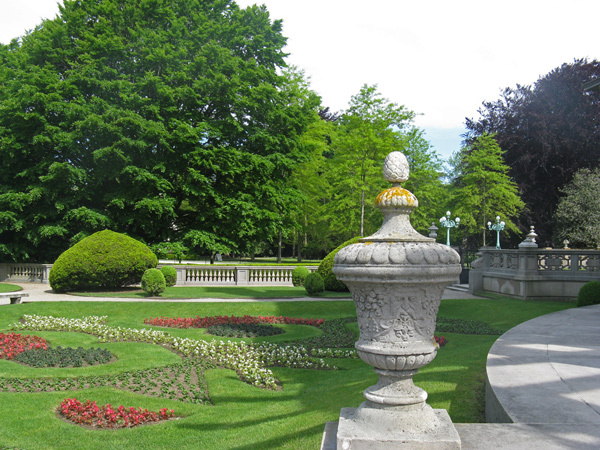 The southwestern façade’s projecting hemicycle and pergola meet the more intricate spaces created by a garden composed of annuals in tapestry bedding, each half of which centers on a fountain. 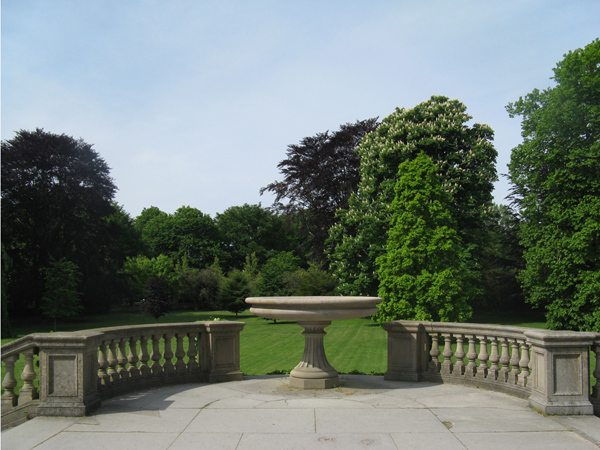 A long, shaded ramble weaving through the grounds is punctuated by yew, junipers, and beeches. 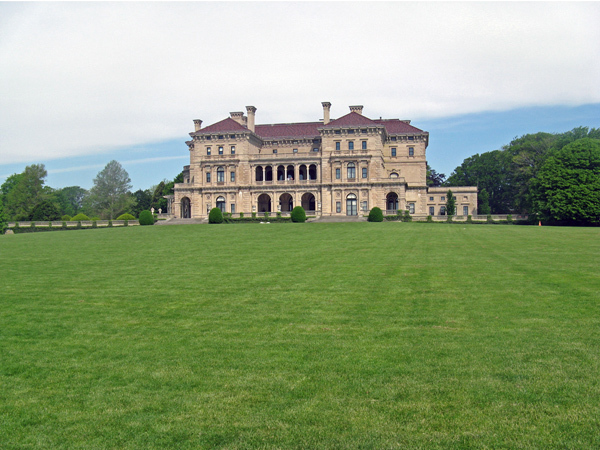 Vanderbilt’s youngest daughter Gladys, Countess Laszlo Szechenyi, maintained the mansion until her death in 1965. 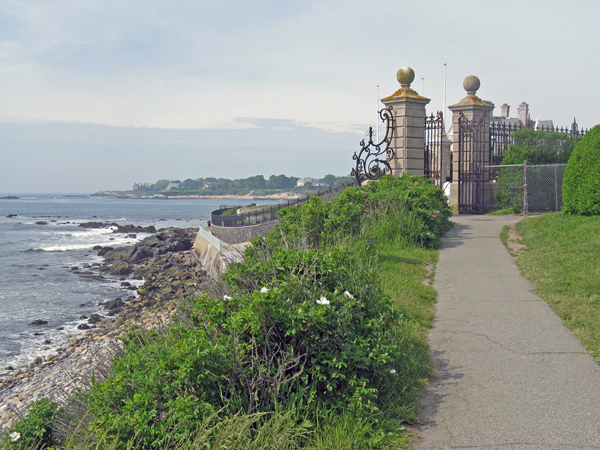 In 1948 she opened it to the public, leasing it to the Preservation Society of Newport County for $1 a year. 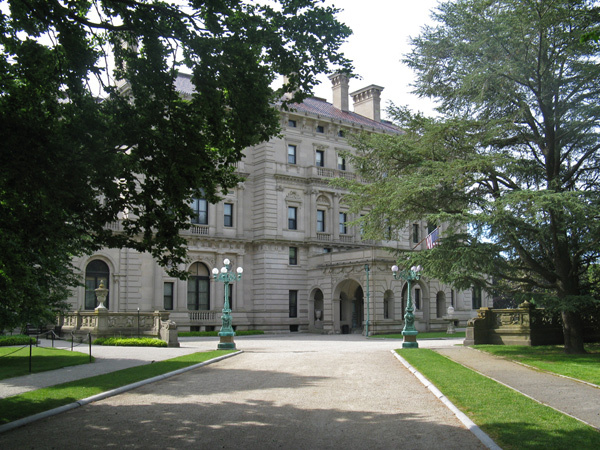 The Breakers was sold to the Preservation Society in 1972 and was designated a National Historic Landmark in 1995.